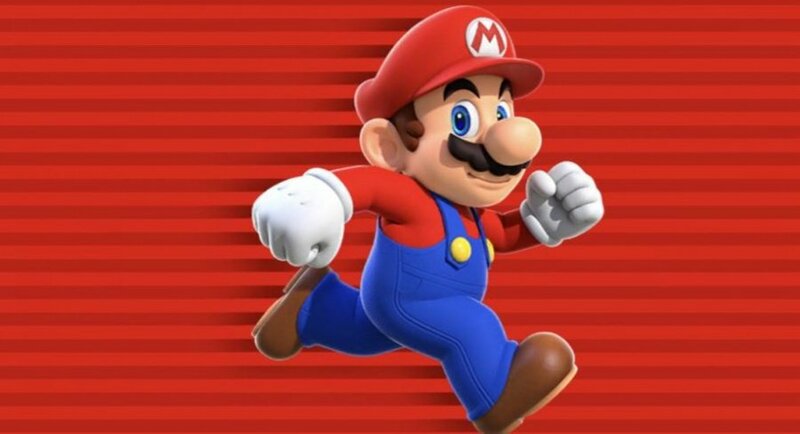 Nintendo's Mobile Titles Have "Not Reached A Satisfactory Profit Point"
Nintendo company president Tatsumi Kimishima has revealed Nintendo's continued foray into the world of smartphone software has yet to reach a, "satisfactory profit point." The official statement comes off the back of a mixed bag for Nintendo in terms of its mobile performance, with Super Mario Run boasting 20 million active users every month and Fire Emblem Heroes continuing to show strong net profits. 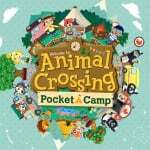 However, a slow launch for Animal Crossing: Pocket Camp - which has seen a number of new changes, including the introduction of lootbox-style items - has likely had an impact on Nintendo's overall performance in the mobile sector. To give it some context, Pocket Camp netted $20 million over two months, while FEH pulled in $85 million over a similar period. With Mario Kart Tour planned to launch later this year, it'll be interesting to see how Nintendo readdress its approach to smartphone titles in a long-saturated market. I still waiting for Animal Crossing Switch. Means less and less people are wasting their money on this stuff. Never tried Mario Run, dropped AC after a day or two... Won't stop playing FEH. I really like Super Mario Run. I bought the full version when it was 50% off and I´m still playing it pretty often. I also sometimes play FEH, Animal Crossing and the Pokémon mobile games but I didn´t spend a single penny on any of these. I just don´t like the idea of constantly paying money just to move forward. And the saddest thing about this is that F2P games are more profitable for Nintendo which means they´re more likely to implement them to more games in the future. Mario Run is the only one I really enjoy. I don't play mobile games, but going into mobile was a good idea for Nintendo. I hope they finally strike a mobile idea that sets the casual market on fire like FNAF, or even Fortnite. Wow. Talk about corporate greed. $100 million + seems like a decent sum to me, even accounting for development and marketing. Talking of which, I’d hate to hear those words from my boss. I wonder who is getting it in the ear? Marketing agency? PR people? Developers? Stopped pumping money to FEH, but I still log in daily. Really enjoy it. It's funny, I do wonder, if Nintendo had held off their decision to go mobile (which was a pretty huge deal) until the Switch was released, whether now they'd still make the same decision (what with the Switch being a big success). A decision that, at the time, was obviously born out of the dire straights of the Wii U era. Obviously they've made some decent revenue from it, but I read somewhere that their mobile titles only accounted for like 3% of their overall revenue last year. In any case, do you think Nintendo would have still done it if the decision was made now? Great news, drop all mobile support and put all your sources, time and money on Switch instead. Honestly I'm glad to hear that. I prefer if Nintendo will keep focusing only on its own consoles and forget all this mobile nonsense. They want us to use Switch along with a smartphone, this is bs for me. We as users and Switch as a console deserve to have a device that don't rely on anything else and give us all the functionalities it can handle. So Katie's Garden Safari will probebly be the final ACPC event ever, followed only by rerun events and discontinuation... And then MKT releases! Mobile game markets are so finicky and extreme, and Nintendo and Apple tried to influence in the direction they seemed to think was best: premium upfront pay with Mario. Couple dollars less and it might have had a bigger influence, but it didn't. Now, it's just ping ponging between pay models and gotchas and it's making Nintendo games feel just like all the others, in my opinion. Rather than stand out, there's a feeling of great brands being diluted. If it is meant to bring people to the premium experience on Nintendo devices, then they shouldn't be trying so hard to profit on the mobile games, but instead treat it as a loss-leader of sorts, in my opinion at least. Fortnite, and PUBG are killing it on mobile right now by just being the same games they are everywhere else, for the most part. Not sure Nintendo will ever want to do that, but if Mario Kart was set up that way, it would likely be a huge success ... AND get more people to go for the Switch and the latest Mario Kart — probably. Oh — and connections. I always expected these mobile games to have direct connections and influence on the real games and just haven't delivered. I think they are a bit too late to get into mobile, it just too saturated at this point... it might be a blessing though, as their late entry allow them to develop the Switch. They were no doubt will get a lot of success if they got there early, but staying long in mobile is a trouble itself (just see Rovio). I still play Mario Run every now and then. Fun game! @KIRO yeah I thought this. Sounds like decent money for titles that probably aren’t that expensive to make as they are hardly top end gaming experiences. Surely they aren’t making a loss on this stuff. Oh look at that mobile isn’t the goldmine everyone thinks it is. Who knew? Oh wait everyone? I feel very little about mobile phone Nintendo games, I prefer ”real” Nintendo games on the Switch or 3DS. I rather pay like 50 € and get the full game without micro transactions. Also on my Switch I wont get notifications, SMS, Facebook messages and other thing that disturb my gaming experience. Well obviously. Nintendo acts pathetically overconfident when they refuse to give an app a worldwide launch (barring Super Mario Run) and then they have an issue with "not reaching a satisfactory profit point". Oh I'm fed up of this Nintendo Mobile. Its pretty much common Business sense that having a wide reach of your product can obviously increase your sales and profit by a considerable margin. Especially if it's software but no, Nintendo will continue with their "traditionalist views" and only launch their apps on the countries they think will bring sales. Ironic considering they went with a modern approach with the Switch then why not Mobile? If you want success you'll have to work for it, be modern and not be so hypocritical. People might damage control saying APKs can help but that's not a viable solution at all because it excuses Nintendo for their backward take on an industry that's all about moving forward. @KIRO I was having similar thoughts. Not so much Corporate greed (It's a given corporations want money) - I believe Nintendo when they say they haven't reached satisfactory levels. It is certainly an indicator that they either have far too high expectations for their mobile titles, or do not yet know how to budget, market, and plan for mobile titles. @Mr_Pepperami I don't disagree for the most part (See above comment to @Kiro) but the one thing I would like to mention is that a product can make what appears to be decent profits, and still be considered a failure internally. Based on their analysis, I'm sure they had a target in mind that the titles had to hit in order to be profitable enough to pull resources away from other projects. It may simply be a case of Nintendo believing their efforts would have been more profitable elsewhere - the opportunity cost of these titles may be too high. Fortnite and PUBG are killing it on mobile because they are killing it everywhere. The same could be said of Minecraft. They are offering the same experiences, or as near as possible, as with other platforms. There is no way Nintendo would, or should, ever do that. By and large, I think it is doing a good job. SMR and FEH are, by the standards of the mobile market, upper echelon efforts. By that, I mean of the made-for-mobile titles, so not including the various Steam and console ports. Ninty isn't about to release anything that could detract from its hardware and software sales - the mobile titles are drivers. That said, FEH is raking in some serious dough. Add those gacha elements to Zelda and Mario Kart mobile titles, and they could reach Clash and Fortnite revenues. I hope Nintendo views mobile in terms of supporting their regular games rather than as an independent revenue stream. Mobile gaming has become a sleazy business. If Nintendo can make non-sleazy games that turn a little profit and get people excited about upcoming switch titles, I think that would be the best outcome. @roadrunner343 oh yeah I know what you mean. Think it just raises the question of what were they expecting. 20 million in 2 months sounds insane. Even given fluctuations imagine what the years total could be on what was a title worked on by a small team. It’s incredible how much money is in that arena. No wonder Konami basically bowed out of normal game development. Hopefully this means MKT will be a nice little appetiser that’s well priced and no more. 2 cups Free to start. Another 2 cups for a couple dollars each. Then some different karts/skins for micro-transactions. Short basic tracks. No MK7/8 fancy flying underwater Anti-grav stuff. Limited character roster and only basic items to use. Hopefully it’s more skill based than luck. Constant reminders of the full game on Switch! It’s got to not dilute the brand. It will sell an absolute shed load and advertise the switch and full game like nothing else has before. Aside from an occasional round of Mario Run, I’ve entirely lost interest in Nintendo’s mobile games. I really wish they would stop making them. Turn based strategy and RPG works fine on mobile. Make advance wars/pokemon/Golden sun remakes. I play all four of their mobile titles on a daily basis. Won't be playing Miitomo next week though, since they're ending it. I would have been interested if Nintendo's mobile software could be purchased outright. I won't be wasting my time on F2P B.S. It was hard enough quitting Shuffle on 3DS. Now I know to never go back. I've downloaded all the titles but have yet to play any of them. Part of it is that I don't want to kill my battery on these experiences. I have enough problems getting through the day before my batteries dead without playing games. Other than that, I just do not like playing games on my phone though there have been exceptions. I did really enjoy a few titles like Peggle, Where's my Water, and Angry Birds. They made $10s millions from Super Mario Run. They've made $100m from AC and FE. None of these apps cost a fortune to make. They are looking at pure profit. Plus whatever they made from Miitomo. Greed is a terrible look. I think Animal Crossing in general is not particularly well suited to making money as a mobile game. Most games resort to an energy based system to limit activity, or make people pay to overcome it, but Animal Crossing has always been about investing time in a game, so players will already be prepared for a wait. This also causes problems for the premium currency they attempted to use, as it can also be earned through gameplay, but players are patient enough to earn what they need rather than buy it. The fact that the premium currency items (including the new loot boxes) are purely aesthetic just causes more problems for this, as players can quite easily just get what they want and leave the rest with no real impact on the game itself. STOP THE MADNESS!!! Pull the plug NOW on these mobile games. Speaking specifically about Super Mario Run........ they simply charged way too much for it. £10 for a mobile game is absolutely insane and would have put far too many people off... I'd guess there were millions & millions who downloaded the free demo but didn't take the plunge for the full game. Only one I played was Super Mario Run. Whilst I didn’t find the price too expensive for a premium mobile game without Microtransactions, its always online requirement was a major issue as it caused loading times and meant I couldn’t play it when I most wanted to play: on the London Underground or during flights. Good, get back to making games for their own consoles. Unfortunately, Miitomo and Animal Crossing are boring, Mario Run is just a Mario game, and Fire Emblem is actually too generous. It's a brilliant mobile game, but I've nevet felt the need to spend any money on it. This is precisely why Iwata was reluctant to get into the mobile business from the start. It's a very difficult business to maintain even if you have a "hit." Just look at how quickly Angry Birds cratered after it was one of the most popular games at the time. The company is still around, but they're not in great shape at the moment. My take on mobile is that Nintendo needs to have an overall, "ecosystem" strategy...Nintendo needs to have some mobile games, so parents can introduce their toddlers to games (to keep them occupied). Then, at about age 6 or 7, the kids can be hooked on the Nintendo handheld, like the 2DS, that is is a dedicated gaming device, that the kid can own (when they are too young to own a phone). Then, the kids can naturally become interested in the home console at the appropriate time, and the home console can have the widest range of games. Time to leave it then, just focus on your own devices please! If that's Nintendo's thoughts, I can only imagine what reality must be like for small game developers. Anyone who I speak to that calls themselves an entrepreneur through the pathway of an app "my idea is an app...", they've immediately lost me. If this is Nintendo's perception, perhaps it isn't worth it. In my opinion, Apple suffocated and under valued the entire market with the low price point of an app. I like FEH. But I hope that they reach the sales projections they are looking for. A healthy Nintendo means more games. The amount of "Nintendo should stop making mobile games to focus on the Switch" that I see here is comical. The great thing about Nintendo's business model is that even if their mobile games aren't crazy profitable like Pokemon Go, they can still serve as avenues to expose their IPs to the billions of mobile gamers around the world, thus boosting Switch hardware and software sales in the mid/long-term, especially as the Switch's price comes down. The less Nintendo is involved in the mobile market, the better, in my opinion. Still play all of them, some more than others. Some days I chalk in more hours playing mobile than my Switch and 3ds. Still trying to understand why people think that not having a mobile game division (sometimes 3ds) would increase games in the Switch division. I understand "traditional" gamers not liking them but it's not like we seen a decrease in quality/quantity since the first mobile game went into production. Imo the game release seems more stronger on the switch 1st year than the Wii U's (pre-mobile). Who cares how Nintendo performs on the crap mobile market? Super Mario Run was great. I bought it full price day one and don’t regret a it. I tried all of Ninty’s other mobile offerings and promptly uninstalled with no in app purchases. As much as I love Nintendo, I won’t support freemium games. Honestly, I think Nintendo just got into mobile gaming just to shut up the critics who kept demanding they make mobile game and how Nintendo would be unstoppable if they became a third-party developer. Back when the Wii U was struggling, every two-bit analyst kept saying Nintendo could only survive if they went into the mobile market, and that even the handheld market is dying, despite the 3DS selling over 70 million units, selling over million 3DS games, and the 3DS proving to be a successful system that much like its older brother the Game Boy Advance, kept Nintendo going while the Wii U crashed and burned. But people wanted to spin their narrative, and make it look like Nintendo was about to go the way of Atari and Sega, with their only salvation being going third party, especially in the golden, promise land of mobile gaming. The failure of the Vita also did not help matters, because Sony rather then admitting they screwed up royally with the marketing, support, and promotion of their system, simply threw their hands up in the air, blamed the Vita's failures on mobile gaming, and went off to go count the millions they made off the PS4. So, the combined failure of the Wii U and the Vita helped fuel the argument people made that Nintendo was an out of their league and unable to compete with a console, and that handheld gaming had been killed by mobile gaming. As I said before, the sales of the 3DS were happily ignored. Every story focused on how the Wii U was failing and how Nintendo was on its way to being bankrupt unless they became a mobile game developer. In a way, this is an extension of an older argument that people have made that Nintendo should become a third-party developer for Sony and Microsoft and stop with their systems. So, I think Nintendo did get into mobile gaming for two reasons. Both to shut up shareholders and critics who declared they needed to embrace mobile gaming to save themselves, and also to have a plan B in case the Switch crashed and burned. After all, the Wii U has been an unexpected failure for them, and the 3DS could not sustain their business forever. So, why not have a backup plan? For Nintendo, they really had nothing to lose. If people embraced their mobile games, then they would earn some more pocket money and have a steady business to back themselves up. If the games did not do well, then it only validated Nintendo's argument that their business model was correct, and people don't know what they are talking about. All the while earning a little extra money for themselves. Their focus was always on making the Switch a success and learning from the mistakes they made with the Wii U. The 3DS proved people were still more then willing to buy Nintendo hardware to play their games. The Wii U failed because a silly gimmick was tacked onto it, the game libary while having some classics was lackluster overall, and third-parties ignored the system in droves. Nintendo learned from those mistakes with the Switch. They never intended to make any real serious inroads into mobile gaming, because their model is the same as its always been. Use the popularity of their franchises to sell their own hardware. In the end, Nintendo proved all the critics wrong. The mobile market is not the gold mine they think it is, handheld gaming is far from dead, given the Switch is selling very well by offering both worlds. and that there is a reason why Nintendo has avoided the fates that took down Sega, Atari, and countless other hardware makers over the years. Nintendo may fail, they may get their nose bloodied and lose. But they have been making hardware for over thirty years because they understand the market better then anyone besides argubly Sony. They know how to sell games, they know how to make people jump through hoops to play their games, and they know how to sell hardware. Critics and armchair fanboys will never understand that Nintendo knows the business better then they ever will. The Game Boy proved it, the Wii Proved it, the DS Proved it, the NES proved it, and now the Switch proved it. Every single time, people bet against Nintendo and declared them outdated unless they give up hardware, and Nintendo has proven them wrong. But this time, Nintendo got a little pocket change from their mobile game experiment and can leave the market anytime they wish by saying the market did not match their expectations. With the Switch and the 3DS, the ball is back in Nintendo's court. There is a reason why Nintendo and Sony have been making consoles for over thirty and twenty plus years respectively. In the end, they know better then anyone how to market and sell video game hardware. @westman98 Pokemon Go already proved this when sales of Pokemon Sun and Moon exploded to the point that it was impossible to find a 3DS or 2DS new or used during the Holiday season back in 2016. Now, this is an amazing thing. The 3DS, which was over five years old(this is when most systems are past their prime) was sold out everywhere as people snapped up even first-gen 3DS consoles just to play Pokemon Sun and Moon. These characters won't be such a shock to people. 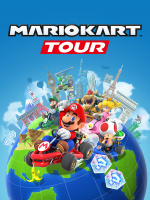 Mario Kart Tour will be what gets people to start playing Nintendos Mobile offerings. Yeah, I fully expect Fire Emblem on Switch to become the best-selling entry in the series fairly quickly, partly thanks to the success of Fire Emblem Heroes. Nintendo's expectations are way too high. @BlueOcean Are way too high of expectations if they expect games they position as "gateway drugs to big console game purchases" to sell like mobile games put their "all in." At some point they have to make a decision as to whether to be satisfied with smaller profits from gateways experiences or to invest in much fuller mobile experiences - whether that be: a Mario Run game that isn't only 20 levels; a NEW WAY TO PLAY experience like GO! ; or occasionally drop their "I'm so unique, type ego" and take a popular contemporary genre (like a Battle Royal) and put their own spin on it. Don't really want that 3rd one from them - but of ALL THE SPACES to force innovation on us, mobile is such a good play to do it. Pocket Camp is lame because of how limited it is. I had a blast with Mario Run but it finished way too fast. FE Heroes is really good and I think if the visual aesthetic of the chibi characters and maps were nicer it'd be even bigger. Less than 4% of Nintendo's net sales come from mobile applications, despite the mobile gaming being the largest and most profitable segment of the gaming industry, from a company with the the most popular and recognizable gaming IPs in the industry. There's no reason why Nintendo can't be one of the dominant players in the mobile gaming market, while they maintain their position as a successful gaming platform holder. I feel like mobile may've been a safety net for the big N in case Switch failed. But now that it's succeeded, maybe it's time to stop? Flops like Pocket Camp are probably doing a pretty poor job at bringing people to buy the mainline hardware. True, I was pretty excited for Super Mario Run and Fire Emblem. Both are pretty good games. But then I got the Switch and couldn't care less for mobile titles. I wasn't one for Super Mario Run. 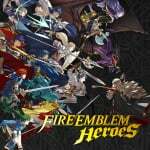 I was playing FEH more for the collection aspect, so I dropped it after around a year. I picked up Pocket Camp when they had their last big event (the Easter one, I think?). I'll probably drop it again once I max all the new amenities. Mobile titles are far more than a dime a dozen, micro-transaction riddle messes. I concede I started playing Pokemon Go again, and Hearthstone's mobile app is... tolerable, overall the market is trash, mixed with poison, cancer and rotting corpses full of infectious diseases called: micro-transactions, free-to-play, and loot boxes. Yes, hidden in the mess of filth are a few decent games. But overall, no, the mobile market is not good. @Caryslan The focus solely on the Wii U was the absolute worst part of the reporting going on about Nintendo until the Switch came about. Wii U had plenty of problems, but the 3DS was doing great, only "poor" by the standard of previous handhelds that sold a hundred million. Everyone was quick to praise the PS4 and dump on the Wii U, happily ignoring Nintendo's successful handheld, and Sony's failed Vita, which arguably got even less support than the Wii U. @EasyDaRon Shareholders. Like it or not, Mobile is huge in the gaming scene. If Nintendo can't get its smartphone pillar to stand on its own, then there's no point in being their when they're not as relevant as they could be. The mobile gaming market is massive and growing,love it of hate it it's here to stay. Nintendo have yet to find the right formula and fail to realise its all about free to download content and micro transactions. I hope Mario Kart Tour is FULL game with online multiplayer. DS Zeldas, Phantom Hourglass & Spirit Tracks could work on mobile. 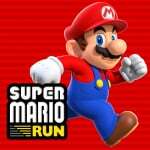 I feel all their mobile games should work like Super Mario Run. Pay once and you get the game with no gacha crap or lootbox shenanigans. SMR is the only one I still play. Furthermore, with Switch selling so well and a projection of 20million sales for the next year, that's where they should focus everything. When Voez released, I thought we would be getting more touch-only games on Switch that don't require joycon. Hearthstone, Super Mario Run, Arkanoid vs. Space Invaders...all of these should be available on Switch so they can funnel smartphone owners back to their dedicated gaming console and make current Switch owners happy in the process. I love Fire Emblem Heroes. Play every day. But I spend no money since they hand out orbs like candy to babies. Super Mario Run is installed on my tablet, but only because my 5 and 3 year old occasionally play it. Because that's how easy it is. It's why I find no joy in that soulless game. Never touched the other mobile entries, they looked uninteresting. And now with Animal Crossing have loot boxes, that gets the perma ban hammer from me. @Robotron2084 bingo. And DeNA was really mostly brought in to fix the online infrastructure. Not a good look for the Ninty crew. I think this shows that Nintendo should stick to what they know best. The success of the Switch shows that. And speaking of that success. If Nintendo dropped out of the mobile market at this point, would people care? Except, maybe investors? @Dang69 Yep, Super Mario Run is a short remix of New Super Mario Bros. assets and levels and is priced €10 so I don't know how many "copies" did they expect to sell when there are better and cheaper games.